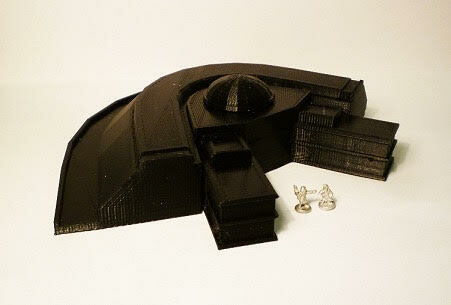 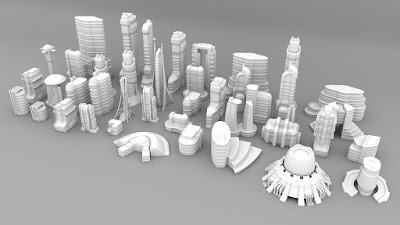 Here's a couple pics of two buildings printed at smaller scales, you could use these for the 2mm or 6mm games. 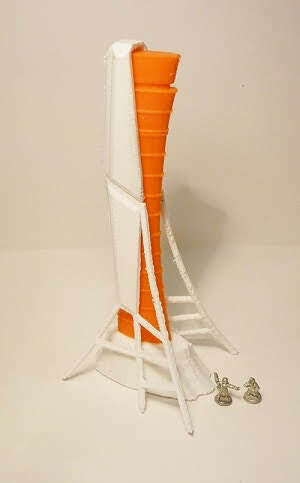 I used Matter control and the Prusa i3 MK2 printer for the first one (orange/white filament) and an IIIP Monoprice Maker Select 3D Printer v2 for the second one (black filament). I used Matter Control for both, but I had forgotten to change the quality to "fine" and change the layer height so the white parts on the first building are a bit rough on the edges.